Revolution, grill style now! 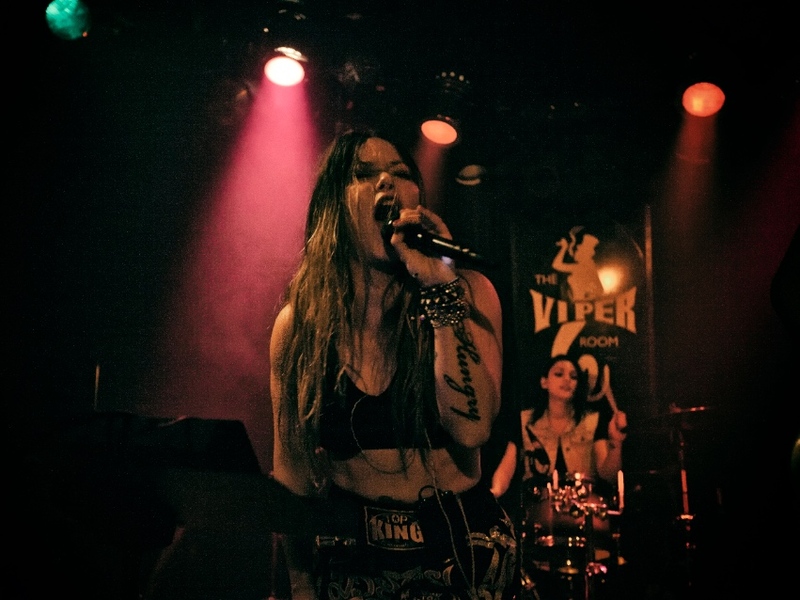 Tonight at The Regent Theater, you can rock out to set after set of all-women punk bands, including the recently (and finally) reunited ’90s anti-darlings Babes in Toyland and Mexican garage band Le Butcherettes among others. Even better is that there will also be a pop-up from chef and cookbook author Nadia G’s Bitchin’ Kitchen, where you can grab philly cheesesteaks, fig and prosciutto pizza, arancini, and cupcakes done up in dark chocolate and bacon. G will also be taking to the stage with her new band The Menstruaters. Finally, all our punk-rock-food-lovin’ dreams are coming true. The Regent Theater, 448 S. Main St. Tonight, August 7. Doors open at 7:00 pm, and tickets are still available. With Filipino food finally getting the attention it deserves in L.A., this panel discussion on the state of the cuisine hosted by Next Day Better should be interesting. The well-stacked panel will include chefs Charles Olalia (Ricebar), Chad and Chase Valencia (LASA Pop-up Restaurant), and Kristine de la Cruz (Crème Caramel LA). Of course, like any good Filipino gathering, there will be food, like The Park’s Finest Filipino-flavored barbecue and sweet treats from Crème Caramel. Takes place Saturday, August 8 from 5:30 pm – 8:30 pm at The Well, 1006 S Olive St. Tickets ($25) are available on Next Day Better’s website. Photograph courtesy of E.P. & L.P.
Lost Lake Tiki Takeover at E.P.& L.P.
Why even try to resist the tropical charm of tiki? You will lose every time—yet, still win. West Hollywood’s E.P. & L.P. will be hosting a once-a-month series called Frankie’s Private Bar Takeover, featuring visiting bartenders from all over the world chosen by beverage director Alex Straus. First up are Paul McGee and Erin Hayes from The Lost Lake, a Chicago bar credited with igniting the city’s renewed love for tiki. 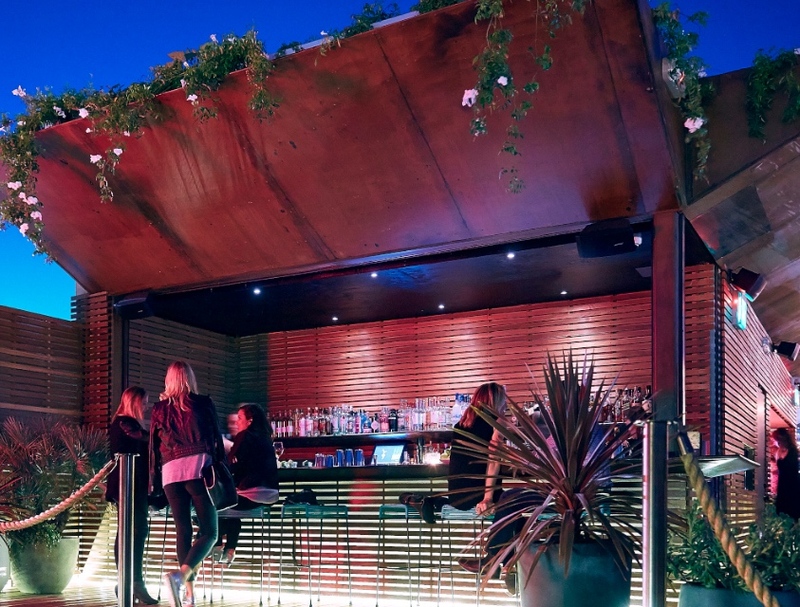 Expect rooftop views and Asian street-food nibbles from executive chef Louis Tikaram. Frankie’s Private Bar at E.P. & L.P., 603 N. La Cienega Blvd. Event takes place Monday, August 10, 8:00 pm – 12:00 am. Drinks are $8 each. Welsh Rarebit and beer—sounds like the couple of the year to us. Hermosa Beach’s Abigaile is teaming up with Three Weavers Brewing (incidentally, the only brewery in L.A. with a female brewmaster) for a five-course beer dinner to make the pairing possible. The restaurant’s chef de cuisine David Bartnes will be putting his spin on Brit-pub classics, like fish and chips, bangers and mash, and sticky toffee pudding enhanced by stouts, saison, IPAs, and more. Abigaile, 1301 Manhattan Ave., Hermosa Beach. Event takes place on Wednesday, August 19, 7:00 pm – 10:00 pm. Tickets ($50) can be purchased online.